Go away to a faraway land at Medieval Times in Orlando, Florida. This is a wonderful place where myth meets modern day times. 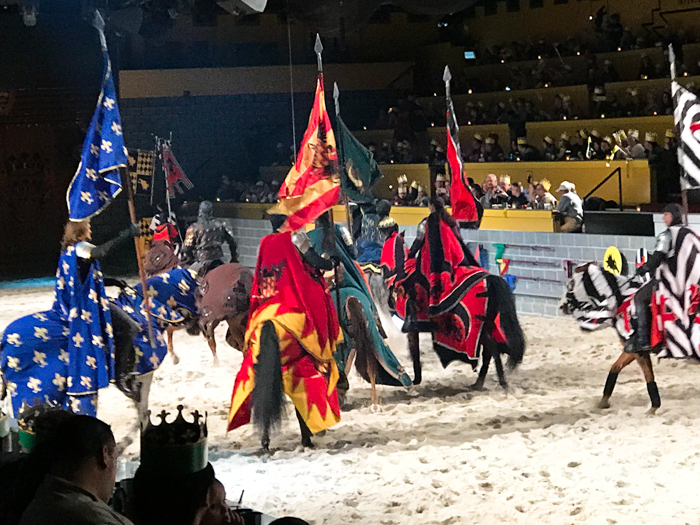 The horses and knights in the shows at Medieval Times will blow you away. This is an experience worth having more than once. There are several Medieval Times across the country. 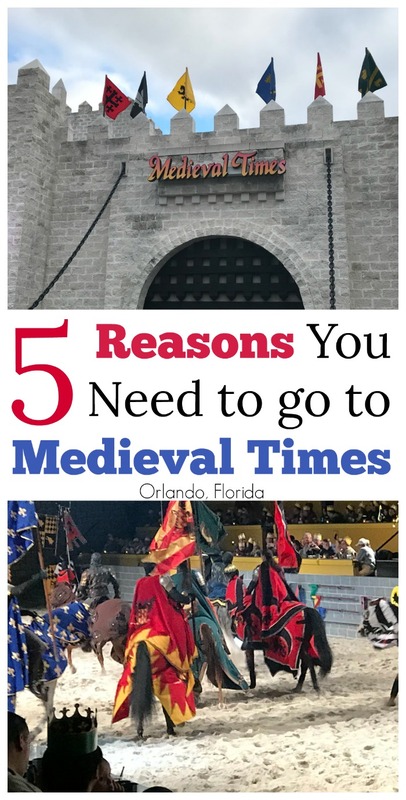 When visiting Orlando, heading to Medieval Times is a fun way to have dinner and have entertainment as well. Looking for other things to do in Orlando? Be sure to check out Things to do in Orlando That Isn’t Disney. 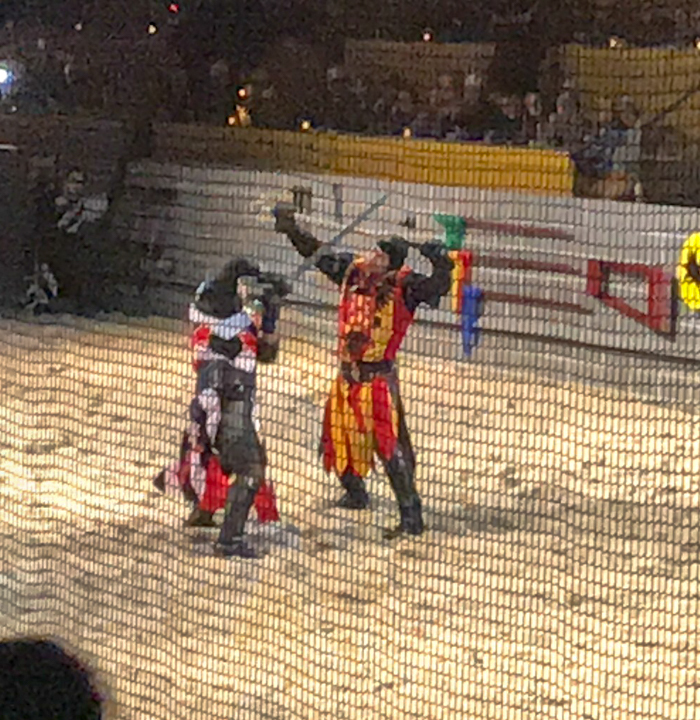 While Medieval Times is meant to be an entertaining experience, if you really think about it, once upon a time people truly lived similarly to this. You and your family can experience a part of history first hand and be wowed by the amazing experience. 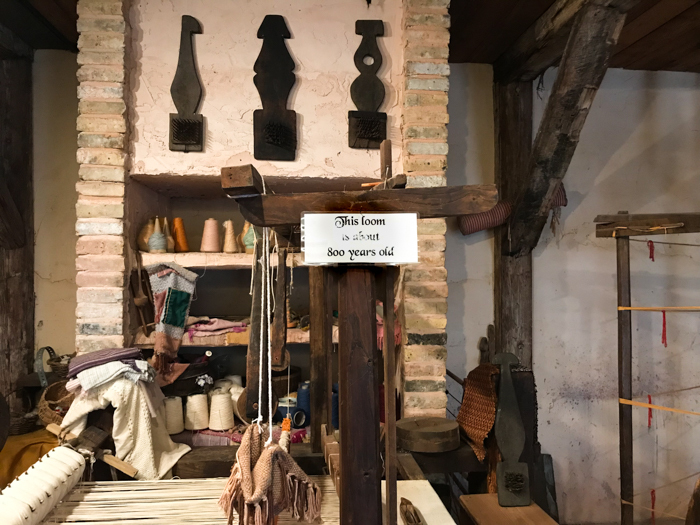 The Medieval Village is a great place to see relics from these times. 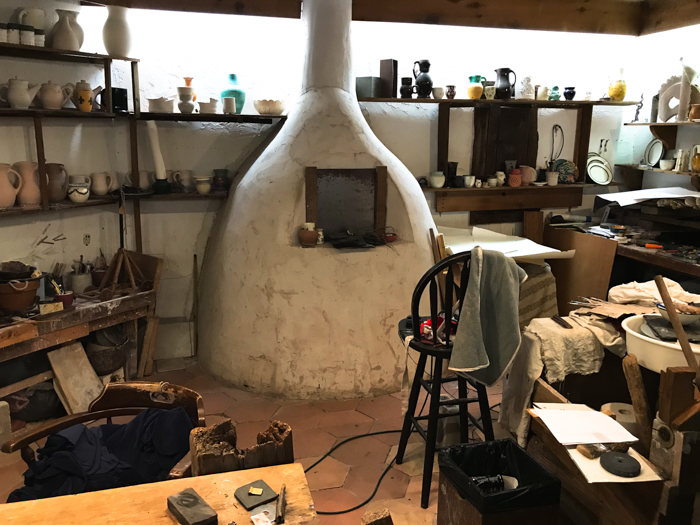 There are rooms and rooms filled with items from everyday pieces, to different lifestyles to a torture room. You think books take you into faraway lands, how about experience a faraway land in person at Medieval Times? 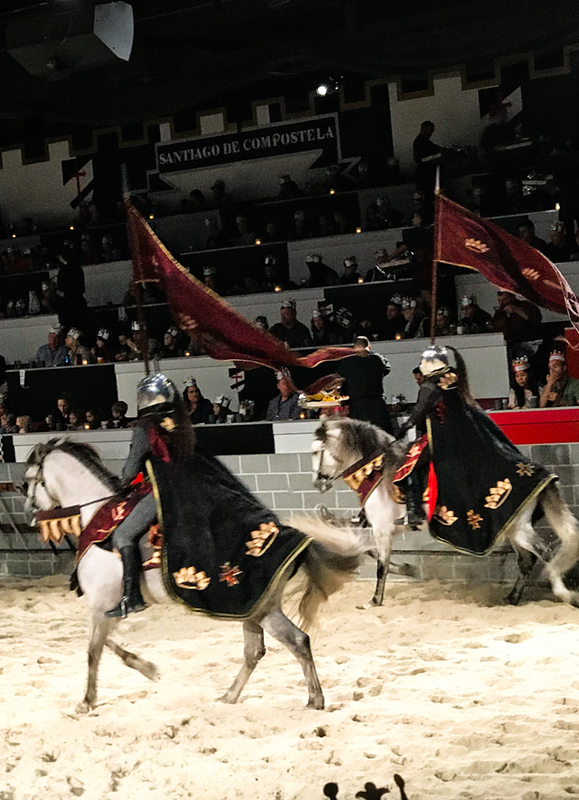 This show will surely expand your imagination while you are entertained watching the knights and horses show off their historical talents from the Medieval days. 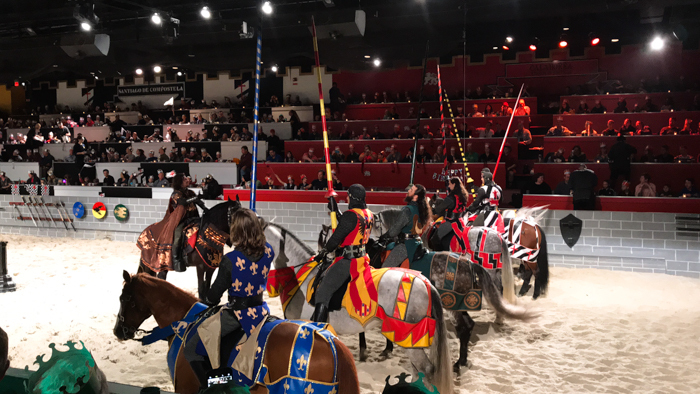 These shows at Medieval Times have real weapons, real horses, and real knights. Not only that but you can experience the live flight of the falcon which only brings this experience closer to reality. You will forget that you’re in modern times while attending the show at Medieval Times. There are vegetarian options as well as other options for those who may have diet restrictions. This is great for those who have a food allergy or specific dietary requirement. 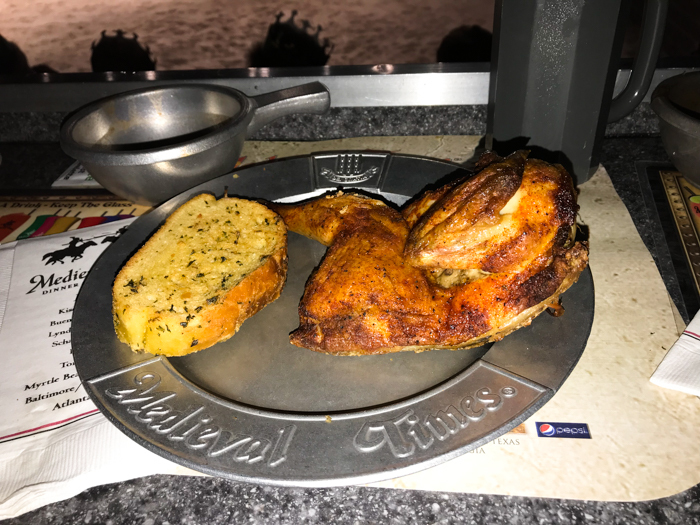 Medieval Times has you covered regardless of what you need for a meal with the show. There’s nothing cooler to a kid than experiencing a live jousting tournament. Not only can you see other shows and experience a trip back into the days of Medieval Spain, but they have a jousting tournament as part of their show too. This is something that’s really cool for those into this rough sport. There are three packages to choose from at Medieval Times. Make the trip with the King’s Royal Package, the Royalty Package or the Celebration Package. 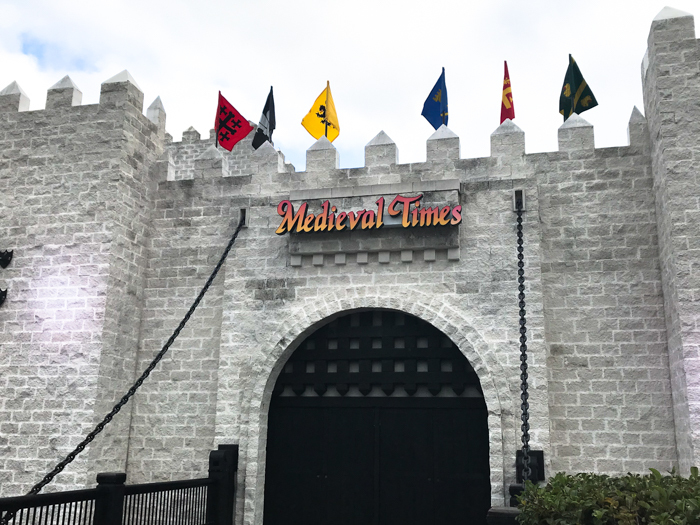 Each package offers a unique option and if you’re planning on dining at Medieval Times, then you’ll surely want to take advantage of their King’s Royal Package to get the most out of your experience at this location. This is the perfect place to experience fun and excitement together as a family or a date night out. Looking for other things to do in Orlando? Try Things to do in Orlando that isn’t Disney, Free things to do around Disney, Gatorland, Legoland and check out the SEALIFE Orlando Aquarium. Planning a trip to Orlando? Use this travel planner printable to make planning a trip easier.